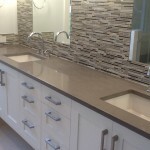 Looking for new countertops in Orlando Florida? We have you covered! With hundreds of variations in colors, patterns, and textures available, you will be able to find the right countertop material for your home or business! We stock hundreds of slabs of the finest granite, quartz, marble and solid surface materials in Orlando. Please contact us to speak with a representative about any questions you may have! A popular alternative to granite countertops, quartz, comes in a wide variety of colors and textures. It is popular in the Orlando area due to its superior durability and appearance. Quartz can take abuse in a busy kitchen because of its durability and it’s ability to be heated. ADP offers a wide variety of materials from premium quartz suppliers around the world. To view our selection of Quartz material providers, please visit our article on “Popular Quartz Countertop Brands“. 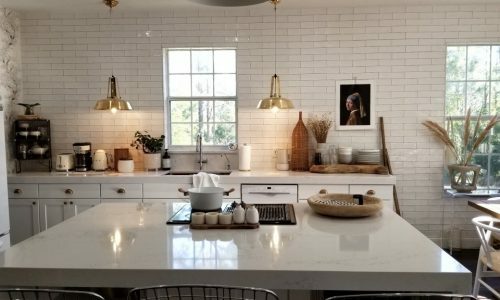 Granite countertops are one of the most popular materials for countertops in the Orlando/Central Florida area due to its durability, appearance, and high value. It is a product that should be considered an investment in your home, because not only does it look great, it will add resale value to your house. 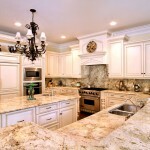 To view our most common granite countertop materials, please visit our “Granite Orlando” page. 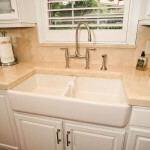 These countertops are durable and easy to clean and can stand up to a lot of use. Solid surface countertops also come in a variety that is considered to be green building materials. Corian is a popular brand name of solid surface materials. For more information, please visit our article on Corian and other solid surface brands! Have questions about our materials selections? Please visit our Contact Us page and leave us a message and we will have an ADP representative give you a call back as soon as we can!